The Future Outlook, a community newspaper from Greensboro, NC, is now available on DigitalNC. Thanks to our partner, the University of North Carolina at Greensboro, nearly 25 years of the paper are now online and full-text searchable. The nearly 450 editions range from 1941-1947, 1949, 1952, and 1958-1972. The Future Outlook served an African American community in Greensboro and documents major events from their perspective. Like community newspapers throughout North Carolina, the paper documented births, deaths, and events of its readership. Economic and business activities received a lot ink over the years, highlighting prominent black leaders in Guilford County, as well as, members of clubs and professional organizations. Elections and voting related activities are also well documented. Before each election, including smaller city and county elections, the paper published extensive district maps and voting information. Another area that might be of interest for researchers is the paper’s coverage of local educational institutions. Greensboro is home to several historically black colleges and universities, including North Carolina A&T and Bennett College. Scholars and students at these universities are heavily covered, especially in during the 1960’s. Students on the Dean’s List, scholars who received grants (like the image above), fraternities and sororities, and university conferences cover many front pages and serve as a record of university activities. Also included in this batch are issues dating from 1941-1947, documenting the entirety of World War II and community reactions to it. Stories, advertisements, and political messages cover the pages during this period. 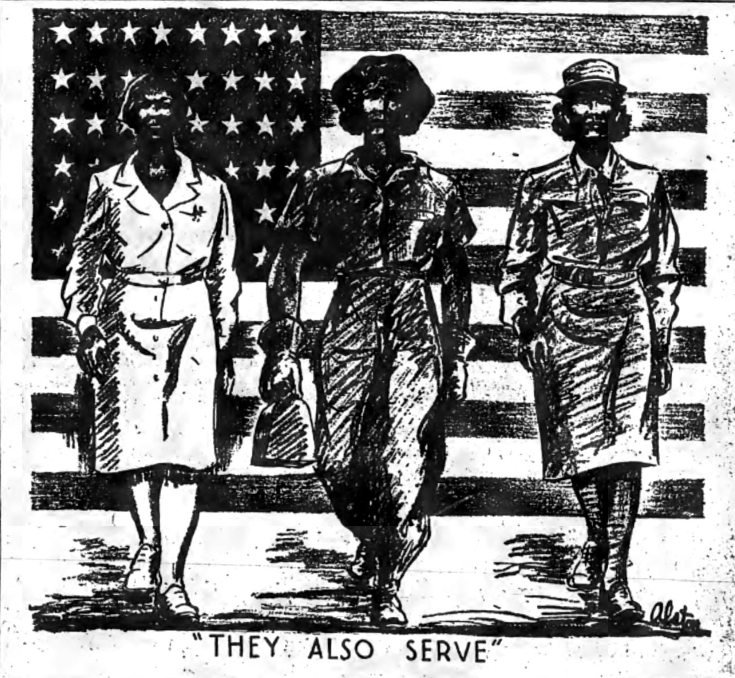 The paper featured stories about locals who were working for the war effort, like Margaret Lanier. Lanier was a secretary in the Press Division of the Office of Facts and Figures. 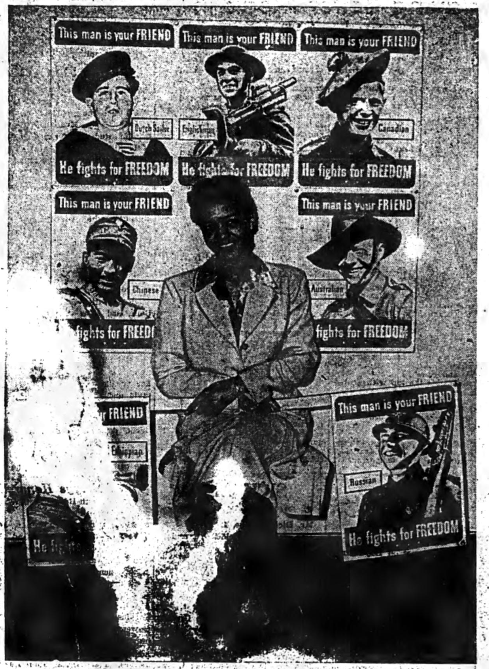 The Future Outlook published the photo on the left of her posing with seven new poster designs to be distributed for Flag Day in June 1942. 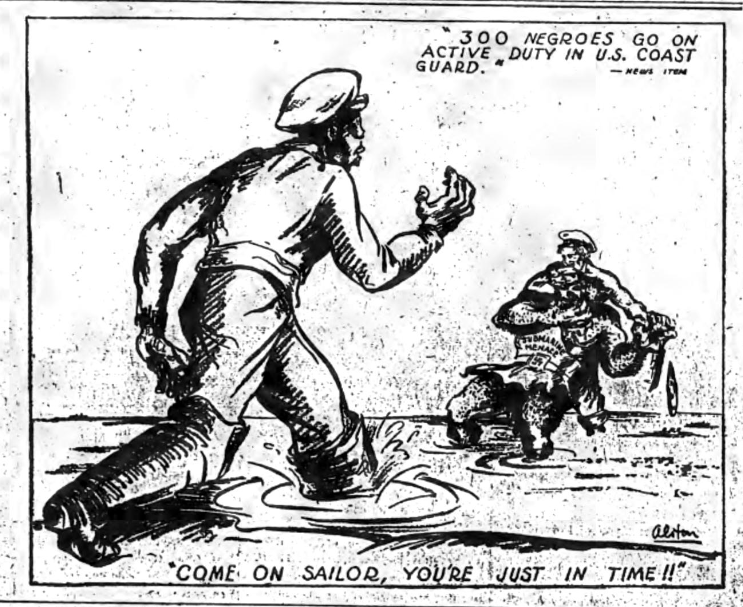 In addition, there are many of the iconic war advertisements, posters and cartoons, featuring African American men and women. To view all of the issues of the Future Outlook, please visit the following link. 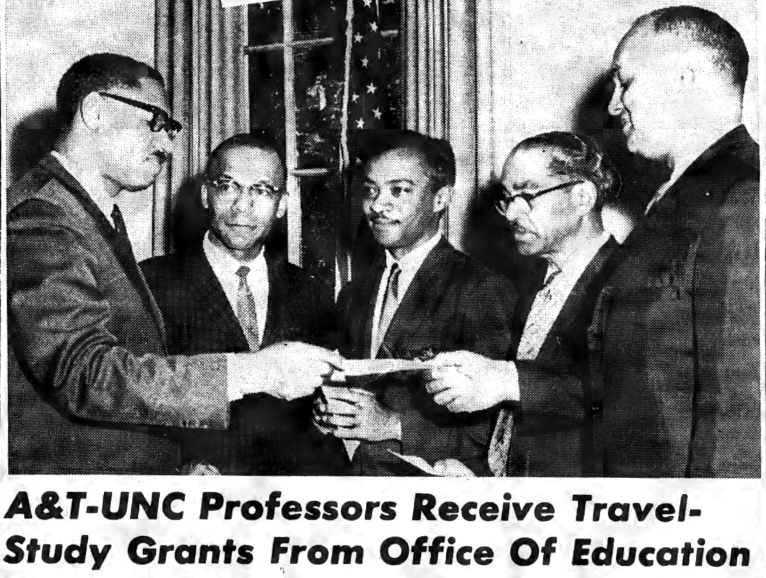 To view more community newspapers like this one, please visit the North Carolina Newspapers Collection and limit by “Community Papers.” You can also learn more about this partner, the University of North Carolina at Greensboro, by visiting the contributor page or visiting the website.